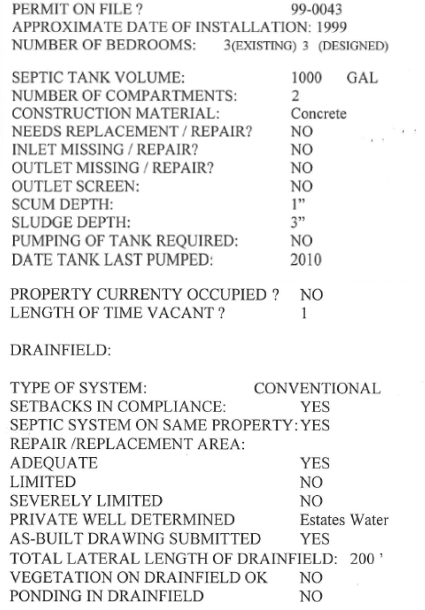 What is involved in a septic system inspection? When you buy a home with a private septic system, you will want to have a septic system inspection. 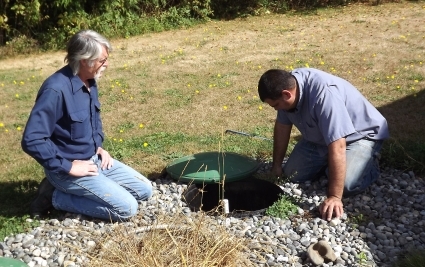 Here a home seller, Steve Lambert, and Septic Designer Eric Hibbard of Soils Application examine a septic system in compliance with a buyer’s request. 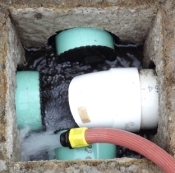 In this photo you can see a hose has been placed in an outlet beyond the septic tank with the water running into the drainfield. If the water backs up at this stage, it would be an indication that the drainfield has problems. That could be because the plastic drain pipes have blockage in the small holes drilled in the pipe, possibly caused by a garbage disposal used too often in the kitchen sink or other abuses. 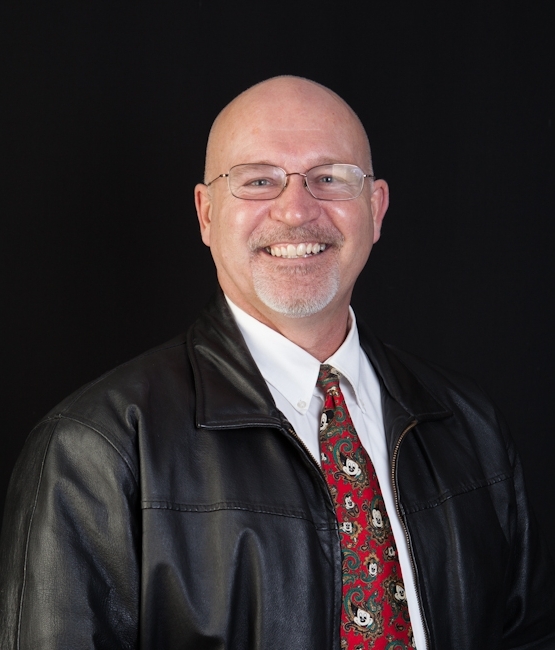 A septic system inspection can tell a lot about how the residents have been using it, and understanding how to properly maintain a septic system would be wise for every homeowner. Some trees have extensive root systems that can grow into a drainfield and destroy it over time. Some trees and shrubs have slow growing root systems that do not extend far from the plant itself, while others, like a Leyland Cypress, have root systems that will grow far underground and wreak serious havoc to your drainfield. Having to replace a septic system or drainfield could cost a small fortune, so knowledge could save you money on this subject. 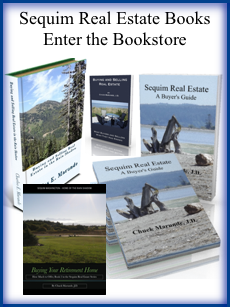 You don’t have to wait to sell your home to have a septic system inspection. You are required to do an annual inspection anyway, so I recommend contacting Soils Application for an septic system inspection that can help you better maintain your system, and you can do the annual inspection at the same time. 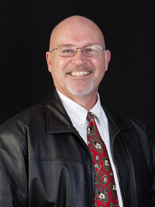 One Response for "Septic System Inspection"